The long answer is that businesses are data-oriented enterprises. In today’s economy, commercial organizations of all shapes and sizes are increasingly defined by the way they handle data more than anything else. For a manufacturer, data comes in the form of CAD files and product specifications. For financial firms, data relates to customer accounts and their related financial relationships. In all cases, that data lives in documents, and the organization’s ability to retrieve and process documents translates directly to customer value. Without secure document management solutions in place, organizations are susceptible to cybercrime. A ransomware infection can derail your entire enterprise, compromise your files, and deeply impact customer trust in your brand – leading to significant long-term losses. Without fast and efficient document management, company growth offers diminishing returns. The more customer accounts you manage, the longer it takes for your employees to find the documents that relate to each account. As that time increases, the value you can provide your customers decreases – until an upstart competitor manages to offer better, faster services than you do. Implementing best-in-class document management infrastructure can transform your business and put you on the path to sustainable, manageable growth. Reputable third-party expertise can help you put yourself on the right track to gaining control of your document-related processes. Whether storing documents in on-premises solutions or on cloud-based servers, modern document management means more than simply depositing documents in a shared network folder and hoping for the best. It means empowering employees to achieve more in less time, and improve efficiency throughout your entire company. Paper-based processes are too slow and too inefficient for today’s businesses. Running a lean, efficient organization requires being able to establish streamlined digital processes that put documents immediately in the hands of the employees who need to process them. A consolidated document management system does this automatically. It relies on rules-based systems for identifying where documents need to go and ensures that every captured document in the system ends up where it needs to be, notifying the various individuals who need to process them that they have a new task awaiting. The larger your organization gets, the harder it will be to keep information current. Document versioning will become even more difficult when you grow beyond the confines of a single office and have to communicate between multiple different branches. Modern document management makes document versioning easy. By indexing documents according to their type and category, you can automatically assign multiple versions of the same document to a single location in your document management storage folder. Employees will automatically have access to the latest version, while being able to instantly access older versions when needed. Employees can spend up to 20% of their time just looking for documents. That translates to one day per week of every employee’s paid salary time is spent looking for information to process. Reducing the amount of time it takes to look for documents allows you to gain control over those processes and enjoy serious boosts to productivity. Automated indexing is key to achieving this. Instead of having employees create their own ad-hoc systems for categorizing and storing documents, next-generation document management solutions can apply optical character recognition and cloud-based machine learning to automatically interpret documents and put them in the right folder without manual intervention or data entry. Automatic indexing and versioning means that everyone involved in a process can be updated on the latest developments in that process automatically. Document management can include read and agree features that ensure all stakeholders in a particular process – including customers and third-party partners – can notify everyone else about the latest updates on the process itself. 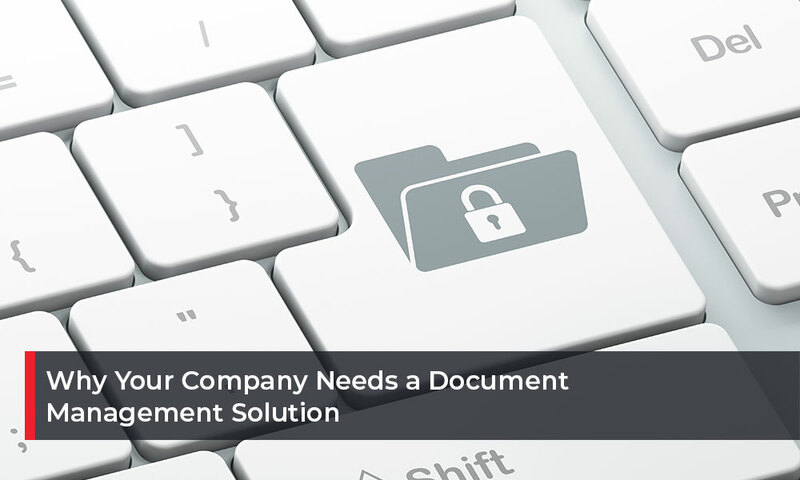 These features make document management solutions ideal for preventing excuse-by-ignorance. No one involved in a process can reasonably claim to have not “seen the email” or not “known about that policy update.” Document management makes sure all of the important data is available to those who need it. Successfully managing your documents is key to successfully managing your business. Our team can help you identify opportunities to improve efficiency and find options for making your documents easier to access and process. Talk to a DSI expert to find out how we can help you improve document management for your organization. Start the process of implementing best-in-class document management at your workplace with our help. Contact DSI and find out what your best options are.